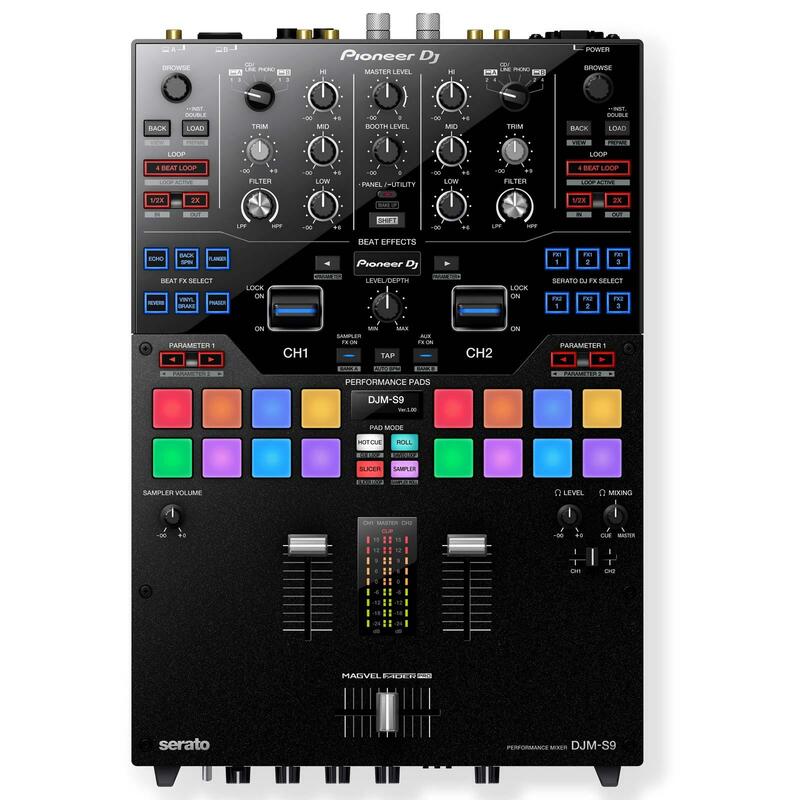 The DJM-S9 is Pioneer DJ's first 2-channel battle mixer for Serato DJ. The fully customizable Magvel Pro crossfader, tactile performance pads and FX buttons let you tailor the mixer according to your preferences. So get ready to decimate the dance floor with personalized FX and rigorous scratch performances. The DJM-S9 inherits its high-quality audio circuitry from our flagship 4-channel digital mixer, the DJM-2000NXS. The power inlet is designed to reduce resistance and deliver the stable sound you need in loud club environments. The MIC input features Echo FX and high-quality circuitry to eliminate unwanted distortion. The clip display shows you when your input levels are too high, while the peak limiter eliminates distortion on the MASTER output. 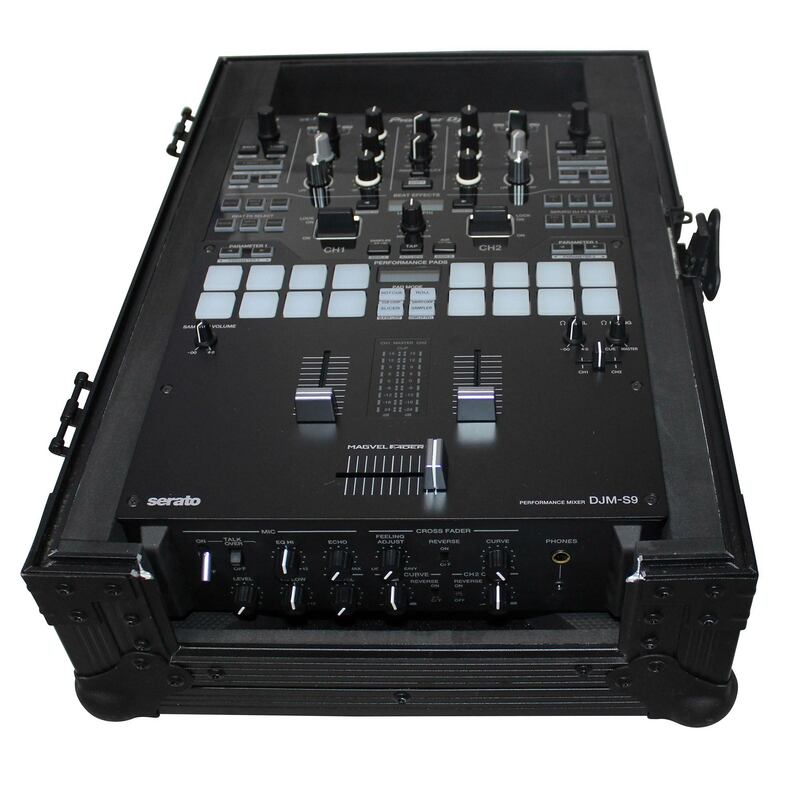 The ProX XS-DJMS9BL ATA Style Flight Hard case designed by ProX Cases fits Pioneer DJM-S9 and is made with the highest quality material and workmanship to give you the ultimate security for your Pioneer DJM-S9 Mixer. If you have a passion for your gear and want to keep it safe at all times, this case will perform at the highest level every time. 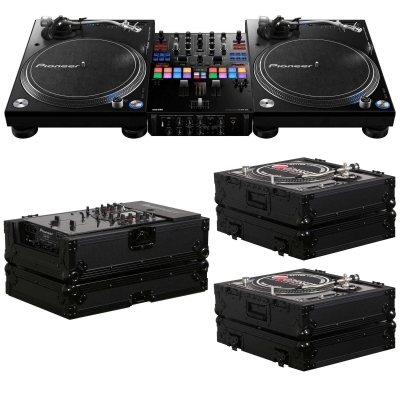 The XS-DJMS9BL is constructed with our rugged signature 3/8" Gig-Ready Series Plywood, durable rubber wheels, reinforced steel ball corners, as well as recessed steel padded handles and latches. There is additional space for cables and small accessories in the back and underneath the unit for convenience, as well as a removable front panel for you to access front input jacks easily. The front removable panel allows for easy access to the front controls and headphone/mic jacks. It's all about the options. This item is part of our Black On Black series, which features an all-black exterior for a sleek, professional look. There's no going back. 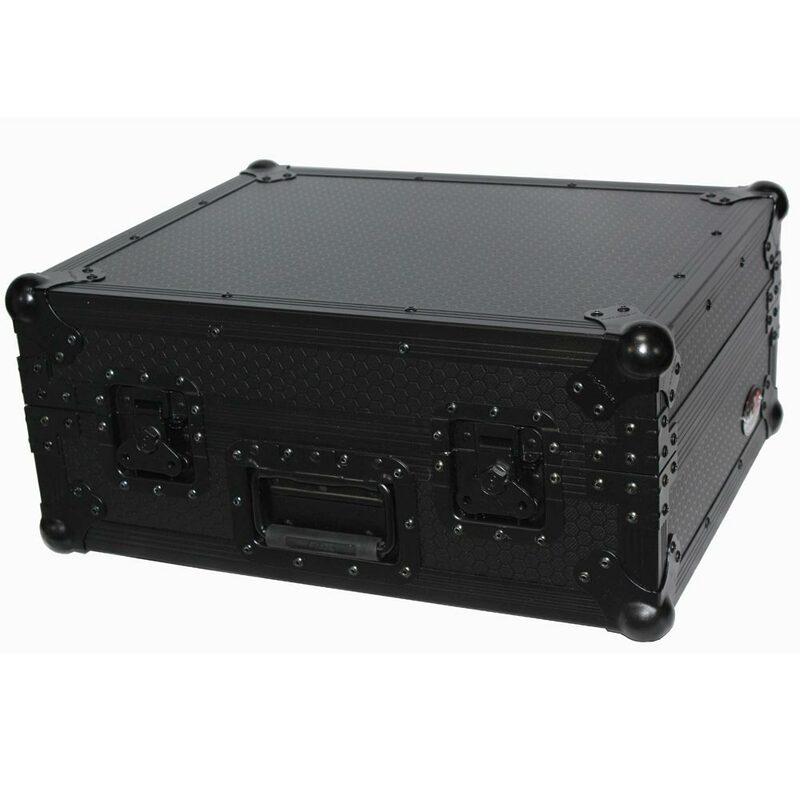 Black is always in style, and an all-black road case for your professional gear will always make a statement. * ProX Goes Green: The durable hard rubber foams used in our cases contain 70% recycled content. Of that 70%, 80% of it comes from recycled plastic bottles and the remaining 20% from the recycled post-industrial material. At ProX we strive to make the world a better place! The PROX T-TTBL Black on Black Turntable Case is a must-have item to efficiently protect and store your valuable DJ turntables. While perfectly optimized for the classic Technics SL1200, this case will also fit other popular turntables just as easily. 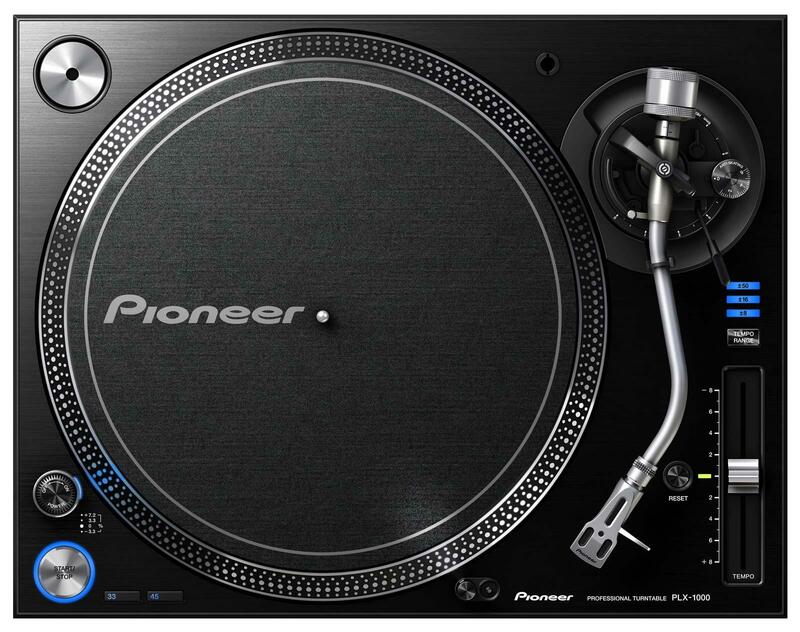 Full size 1200 Style Turntable, Technics, Numark, Stanton, Pioneer PLX1000, Reloop RP-7000, RP-8000, RP-8000S, Audio-Technica, etc.